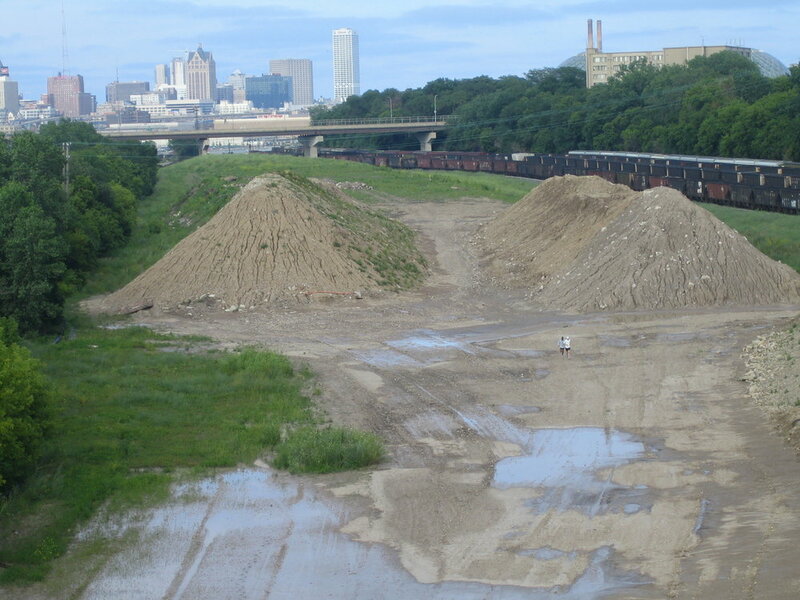 Located along the Menomonee River between 27th and 37th Streets, Three Bridges Park was once part of a wild rice marsh, then a rail yard, and then a vacant site for decades. Through passion, persistence, and partnership, Three Bridges Park opened in 2013 and is enjoyed by more than 50,000 visitors each year. There are 42 community gardens in Three Bridges Park. Reserve yours at the Urban Ecology Center. 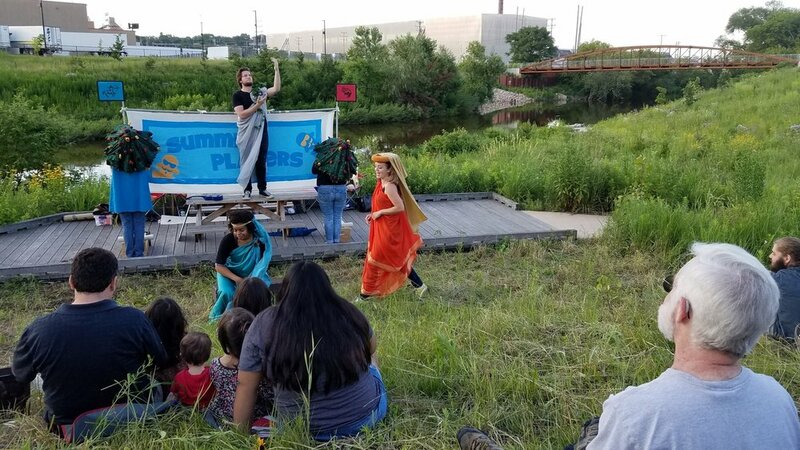 Since 2015, Summit Players Theatre has performed Shakespeare in Three Bridges Park every July. Volunteer to keep Three Bridges Park growing and free of invasive weeds. During the Urban Candlelight Hike every February, two miles of trails are illuminated for a casual winter stroll. Fish all year round, but don’t miss the steelhead run in the spring and the salmon run in the fall! Looking for some fun outdoors activities and events for your family and friends? Want to borrow some snowshoes, kayaks, or camping gear? 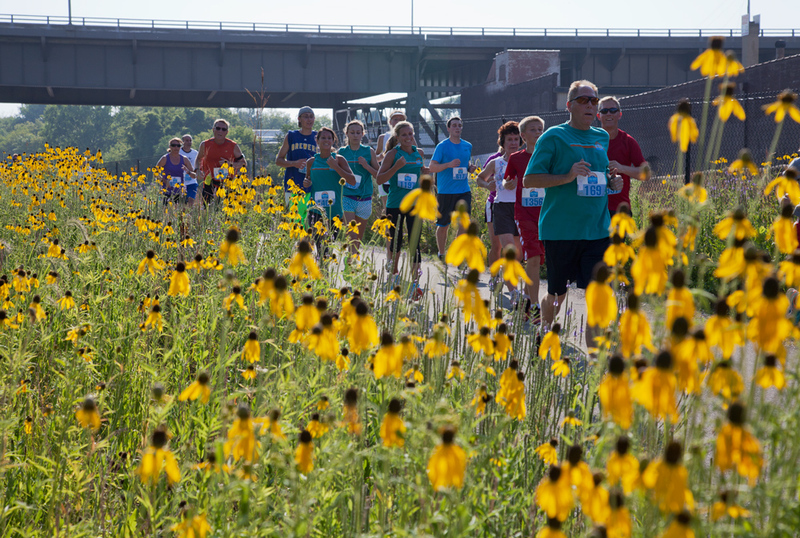 Let the Urban Ecology Center help you get active! 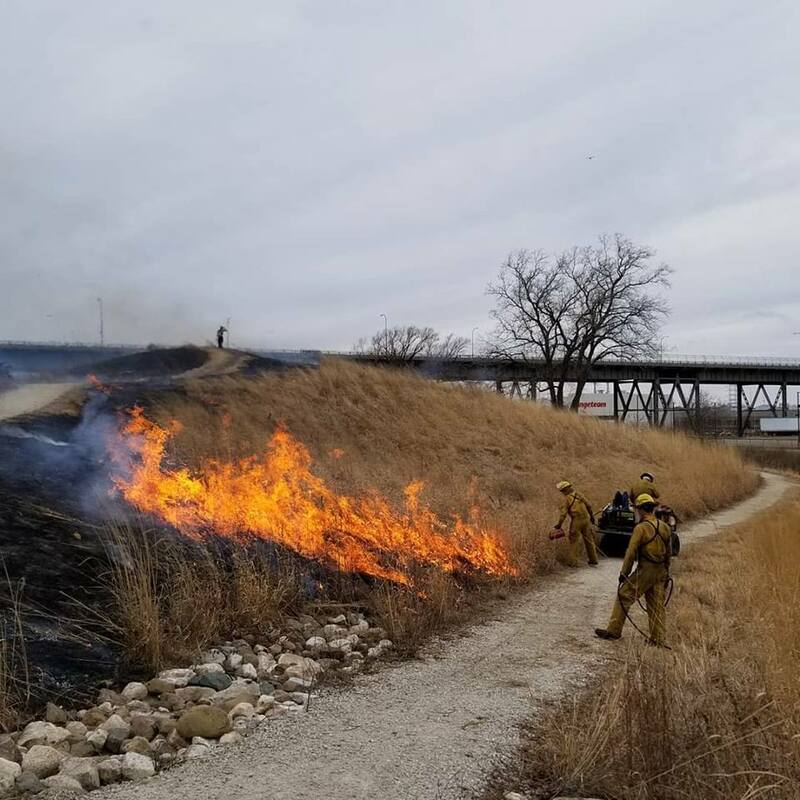 Help this park continue to thrive! Volunteer opportunities abound - community science, land stewardship, special events, and much more! There is street parking on W Canal St across from Ingeteam (3550 W Canal Street) or near the Urban Ecology Center (3700 W Pierce Street). Pay attention to posted signs as parking permissions vary, especially when the Brewers are playing (see schedule here). You may also park in the parking lot behind (to the north of) the Mitchell Park Horticultural Conservancy (The Domes, 524 S Layton Boulevard). This park is more than a pretty place. The Urban Ecology Center uses it as their outdoor science classroom to give kids hands-on experiences to explore waterways, native flora and fauna, and regional history. It is a place where volunteers nurture the land for future generations. It is a quiet place of respite in the heart of the city. It is a Milwaukee destination for outdoor recreation and learning. The mural adorning the walls of the Valley Passage, the tunnel connecting the Menomonee River Valley and Silver City neighborhood, illustrate what can be experienced on the opposite side and depict the Valley of yesterday and today. Wisconsin artist Chad Brady completed the mural in 2011. A permanent donor sculpture was installed in Three Bridges Park in 2017 to recognize the more than 200 foundations, corporations, and individuals who supported the Menomonee Valley – From the Ground Up project at the $1,000+ level. Donors’ names are inscribed on the arch’s interior, a long-lasting symbol of what our community can accomplish when we come together. Thank you to ALL the donors and supporters who made this project possible! The Urban Ecology Center's Community Science Program serves as a meaningful bridge between academic research and the community-at-large. The program creates collaborative spaces for research between professional and community scientists and creates a more engaged, knowledgeable and ecologically literate community. Rolling Hills - Hills were built to resemble natural glacial landforms (kames, drumlins, and eskers) to teach children about southeast Wisconsin’s natural topography in true to life form and almost to scale. River Restoration - Stones and boulders were added to the river to vary the direction of water flow and improve fish habitat. Natural Stormwater Filtration - Swales, a low area of land that collects stormwater, were designed to manage water runoff, filter pollutants, and increase rainwater infiltration. Snake Hibernacula - Underground chambers provide a home where snakes can safely spend the winter protected from the cold. Wildlife & Native Vegetation - The list of native plants and animals, those that were here long before the 1800s, grows each year. Read more in the Urban Ecology Center’s 2017 Community Science Review. 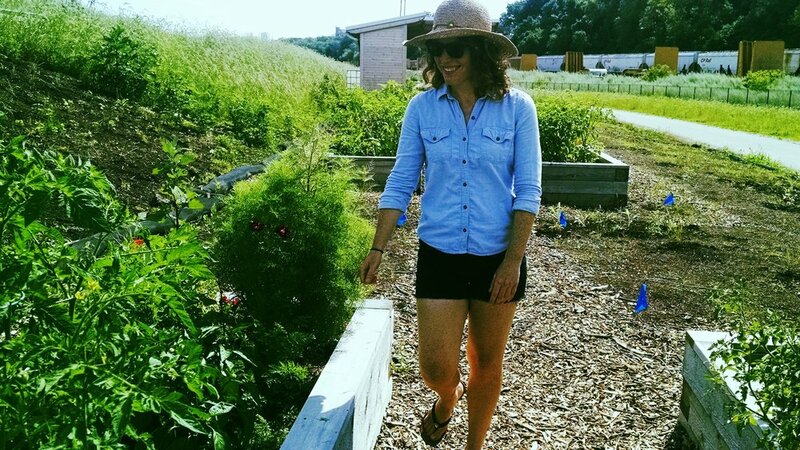 Community Scientists - The Urban Ecology Center welcomes community and professional scientists to Three Bridges Park to perform research and observe the wildlife. Read more in the Urban Ecology Center’s 2017 Community Science Review. On Saturday, July 20, 2013, Three Bridges Park opened to the public with a dedication and family celebration. 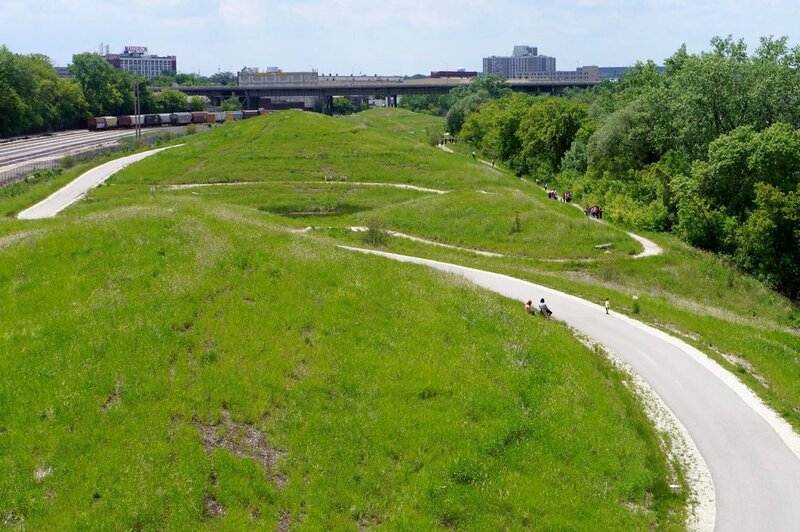 It is the largest new park developed in Milwaukee in decades and marks the continued transformation of the Menomonee River Valley into an asset for families, children, fishers, hikers, bikers, boaters, businesses and employees in the area. 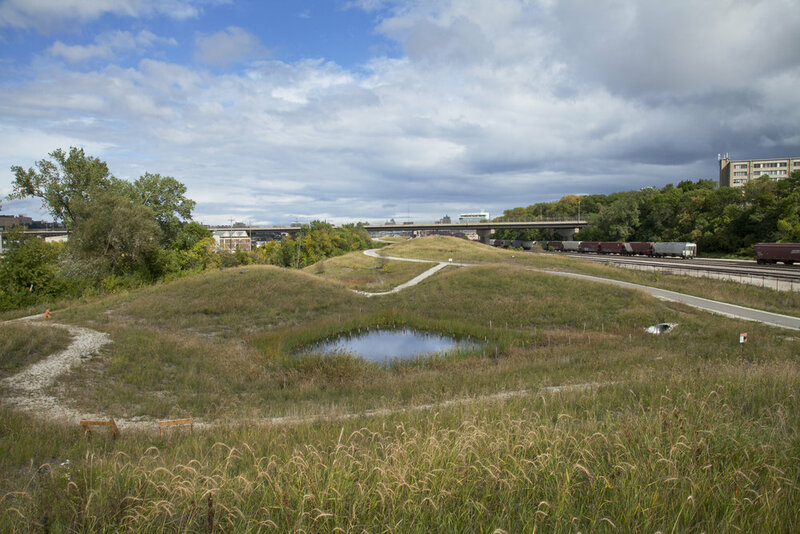 2013 - Community members met at the park's three bridges and walked toward each other to meet in the park's center, a symbolic act to celebrate the renewed physical connection between the Menomonee River Valley and adjacent neighborhoods. 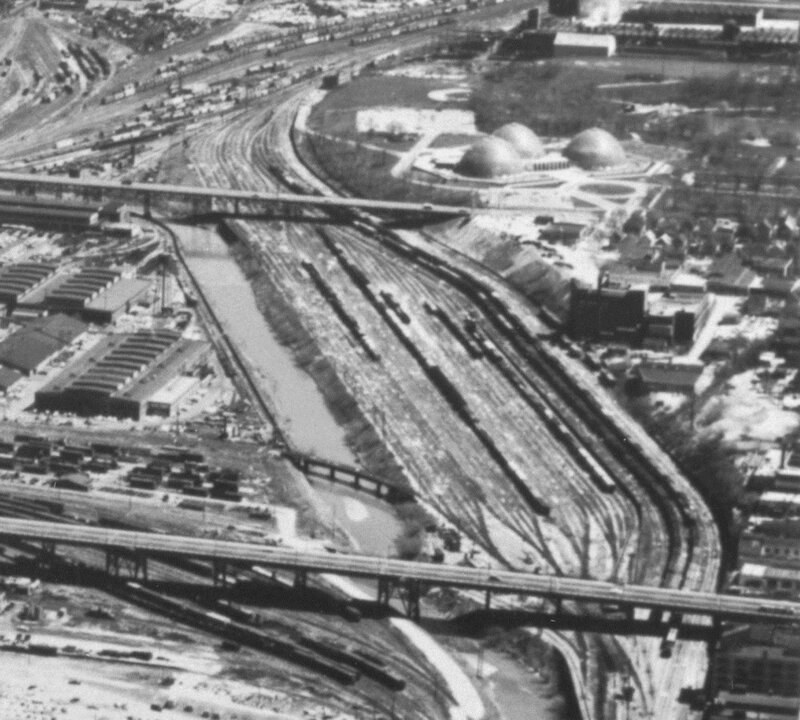 With its steep banks and man-made barriers like train tracks and freeways, the Menomonee River Valley has historically been largely disconnected from the rest of the city. This meant that nearby neighbors were cut off from its employment opportunities and recreational assets. The park’s three bridges provide bike/pedestrian connections to bring our community together. The Valley Passage was constructed at the same location where generations of workers streamed through a tunnel beneath the railroad tracks and across the river via a pedestrian bridge on their way to jobs in the Menomonee River Valley. When industry left in the mid-1900s, the bridge was torn down. The Valley Passage (a railroad underpass), the Silver City bike/pedestrian bridge over the Menomonee River, and a path up to 37th and Pierce Streets restores that historic connection between the Menomonee River Valley and Silver City neighborhood. This walk to work connection to Valley jobs was closed in the 1960s. The tunnel to the Valley was closed in the 1970s. The Valley Passage was reopened in 2010. Three Bridges Park offers a chance to create a place for people to come together in what was once widely thought of as far back as the native tribes and spans Father Groppi's march across the Valley and Hank Aaron's accomplishments playing baseball in the Valley's west end. The Menomonee River Valley has a rich narrative of bridging the past to the future, bridging north to south, and bridging early and modern manufacturing. Three Bridges Park bridges nature and the city, allowing neighbors to cross over the industrial corridor and access a place of respite in the heart of the city. 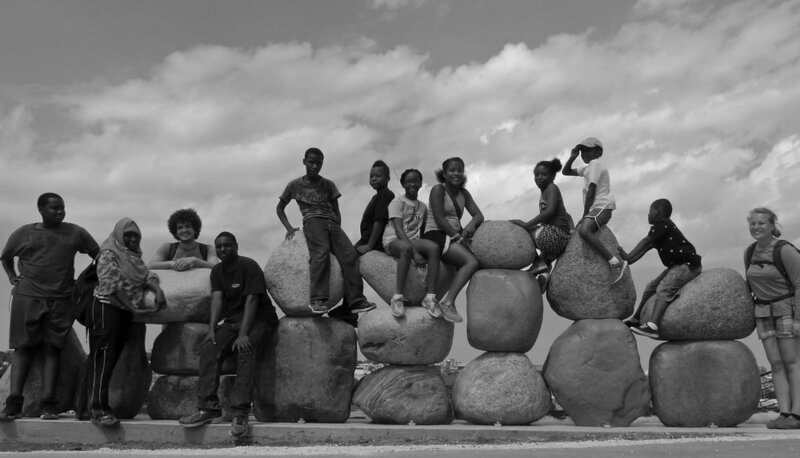 The park's programming bridges the past and the future, educating about the rich history of this land and connecting people through ongoing volunteer activities. Learn more about this park's incredible transformation from a vacant railyard to a much loved park in this video from 2014, one year after the park opened. Use #ThreeBridgesPark on Instagram and your images will appear here!